Home Desert Plan Your Summer Now With These Stellar Summer Camps! Summer is just around the corner so it is certainly not too early to begin looking at summer camps. And luckily, Westin Kierland Resort & Spa has got some fabulous ones for your kids to enjoy. The resort has put together some one-of-a-kind camps for your kids to thrive in this summer, so read on to find out more! This camp is for those kids who just can’t get enough of technology. 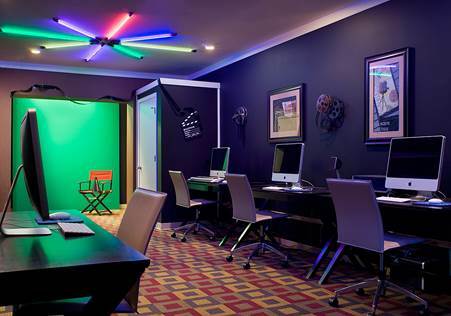 But their use of technology here will go far beyond an iPhone; in this summer camp, your kids will be using technology to make TV shows and commercials! Just because we live in the desert doesn’t mean your kids can’t learn how to surf! 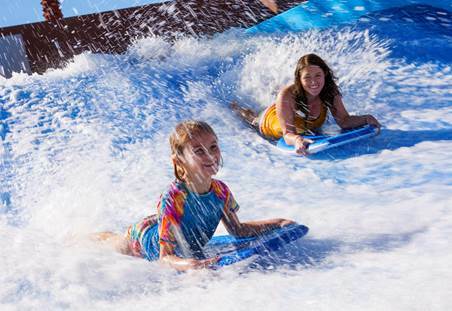 The resort’s surf camp will teach kids how to bodyboard and flowboard using their Kierland FlowRider wave simulator. At the end of the 5-day camp, kids will get to show parents the skills they’ve learned during a special surf show. Meant for younger children, Camp Kierland campers spend the days exploring the resort grounds with Kierland’s FUN Team. Events such as pottery painting, LEGOmania, swimming, crafts, and campfires will have your kids loving their summer. For more information on this stellar summer camps for your kids, visit http://www.kierlandresort.com/kidscamp. Let The Summer Staycations Begin! Springtime at The Scott Resort & Spa: New Renovations, Sip + Savor Events, Yappy Hour & More!